A payment receipt may be described as the written evidence for a product or service that has been purchased and paid thereby. A payment receipt is an acknowledgment that a payment has been received and that it cannot be issued on credit, unlike an invoice. It is a document verifying that an individual has paid for the product bought or a service availed. 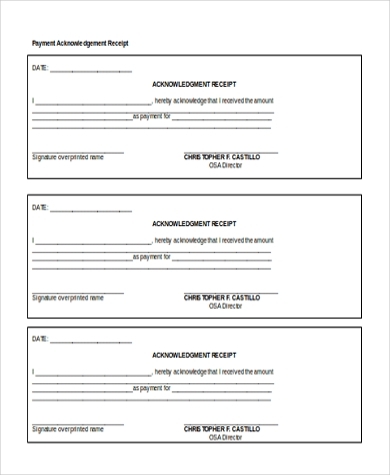 Businesses make use of Receipt Forms for making transactions and deliveries. 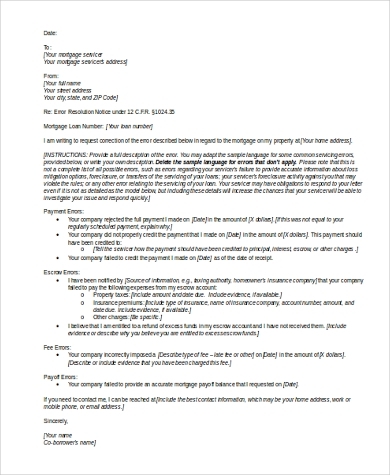 A payment receipt letter is written out to acknowledge the customer or the buyer that the payment has been received. The payment can be made either through cheque or online bank transfer. 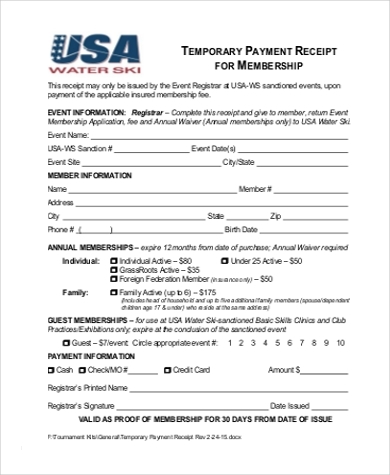 You may also see Payment Receipt Forms. A payment acknowledgment receipt is written to confirm the buyer that the payment has been received. It is the letter of acknowledgment sent by the individual who is ought to receive the money on account of any purchase or official transactions. 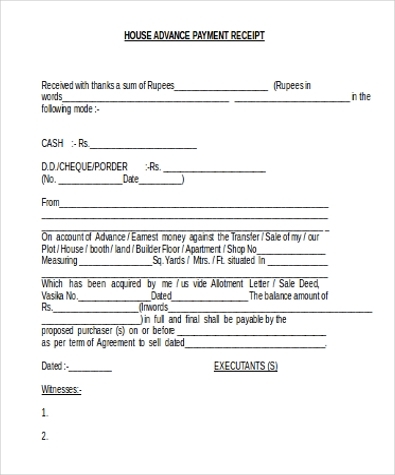 A payment receipt is given as an advance for either the purchase of a house or on account of lease or rent. This type of payment receipt may be called as the house advance payment receipt. The format of such payment receipt is similar to that of an agreement. You may also see Deposit Receipt Forms. 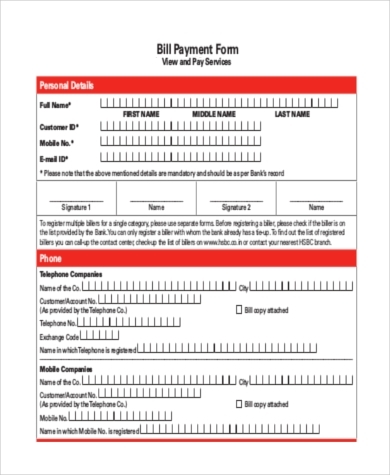 An electricity bill payment receipt is generated through the computer which acknowledges the payer of a bill that the payment has been made. The payment can either be made online or at the Electricity Bill office. A cash payment receipt is a common receipt that we may receive for buying things everywhere. We get the cash payment receipt at the grocery store after making the payment and every other store. You can also see Sales Receipt Forms. A temporary payment receipt is made when an individual pays the amount in advance due to any such situation arising. It should contain the authorized signatures of the parties involved along with a witness signature. 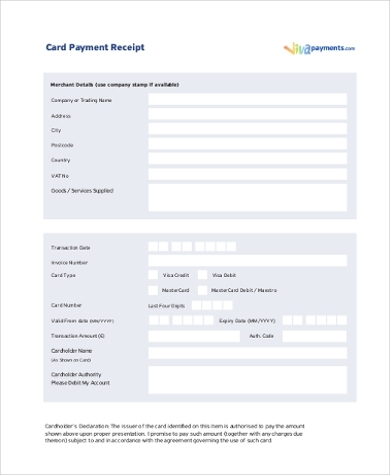 When a transaction is made with the use of debit or credit card for the purchase of a product, then a computer generated card payment receipt may be given to the buyer. 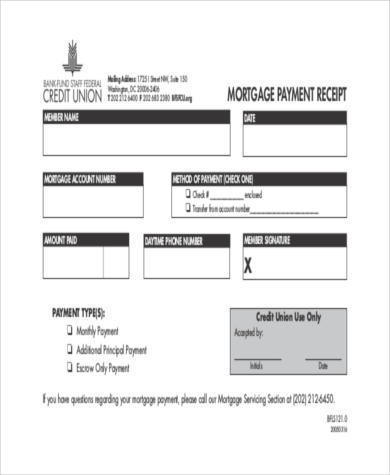 A mortgage payment receipt is a proof that you get for entering into this financial transaction. This receipt should be kept as an evidence for availing money back in the future. Payment receipts are largely used by every single one of us for making transactions. Every day we receive payment receipts for making day to day transactions such as buying groceries at a grocery store will give you a payment receipt confirming that you have made the payment. It acts as an acknowledgment which is given to the buyer that he has fulfilled the transaction by making the necessary payment. 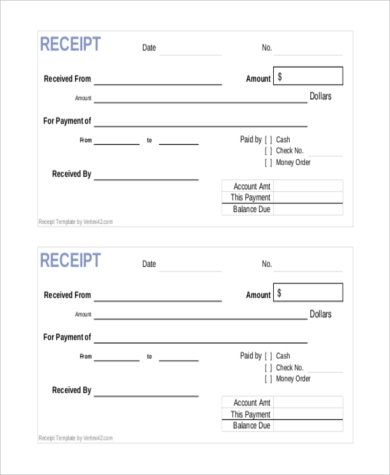 You can also see Cash Receipt Forms. A payment receipt is an important requirement when it comes to making monetary transactions. It is a proof that the payment of a specific product or service bought and availed has been successfully completed. It acknowledges the buyer that he has fulfilled his responsibility of releasing the payment appropriately. Sometimes, a person may wish to return or replace a specific product and in that case, the payment receipt is needed for the transaction to take place. You may also see Rental Receipt Forms. Payment receipt is given to the buyer of a product or service as an acknowledgment of his payment. It is commonly used everywhere and is given to the buyer for something as simple as buying groceries at a supermarket. The buyer is ought to receive the payment receipt as a proof that he has fulfilled the payment procedure for any transaction.